Are you tired of paying a good chunk of your income just to heat or cool your home? You may want to consider replacing your windows with something more energy efficient that will keep your home comfortable year-round. Windows have a long life span and should only need to be replaced once (if at all) while you live in your home. However, you may struggle to keep your home at a comfortable temperature if the previous homeowners installed inferior quality windows. In this blog post, we will go over the benefits of window replacement so you can make an informed decision. Natural light can help your house seem spacious and airy, which is why many homeowners look for replacement windows that rate high for visible transmittance. Visible transmittance is a rating given to windows to describe how much sunlight is able to pass through the glass. If you are adding another room to your home, you may want to consider installing large new construction windows to let in more natural light. Increased exposure to natural light has been show to help people maintain circadian rhythm and even improve mood during the dreary winter months. It’s easier to heat and cool your home efficiently when air isn’t able to escape through inferior quality windows. In fact, the U.S. Department of Energy reported that homeowners may have better luck improving energy efficiency with replacement windows than by doing costly repairs. Windows that rate low for air leakage will ensure that heat stays inside in the winter and outside in the summer. When your HVAC systems don’t have to work as hard to keep your home at a comfortable temperature, you’ll notice your energy bills go down. Over time, it’s not uncommon for window frames to warp and create gaps that allow cold winter air to seep into your home. If you have drafty windows, it can be difficult trying to keep your home at a comfortable temperature. A window installation company will be able to help you choose windows that rate low for air leakage so you can stay comfortable in your home year-round. 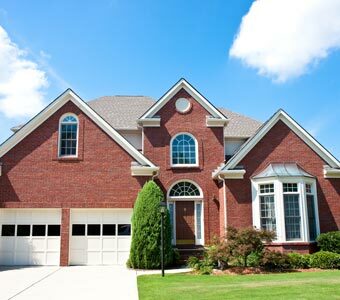 The major things homebuyers look for in a home are a good furnace, roof, and energy efficient windows. According to ISoldMyHouse.com, vinyl replacement windows can give you an 85% return on investment. While potential homebuyers may not be able to see the difference when they pull into your driveway, they will see the difference in lower energy bills. You may also be able to add value to your home with architectural windows that increase curb appeal and make a lasting impression on guests. The cost of replacement windows is worth the value it adds to your home. The window installation contractors at Abode Building Center are dedicated to helping people discover how windows can improve the energy efficiency of their homes. If you are interested in our window replacement service, be sure to give our Portage window contractors a call at (269) 329-1800.